allowing us to help bring the best version of ourselves into the world. When we hear a need an answer, help is formed and begins to spread itself in our world. Let me share a short story. A professional with clients heard they needed a realtor. I was referred. First and foremost those clients were cared for and taken care of. Secondly, those clients Barry and Deborah Taylor were very appreciative for the referral. What started as a referral to sell their property then became helping them purchase a new home. Once completed that became $1,000 for the PAH Foundation, $1,000 for the BC Children's Hospital Foundation and Miracle Network, $500 for the Vancouver Cancer Drivers Society, and $500 for the Seniors Come Share Society. The $500 for the Volunteer Cancer Drivers was able to be given at their fundraising carwash at Langley Chrysler and Langley Chrysler doubled the proceeds of the day so that $500 grew to $1,000. A person heard a need and helped, they gave a referral. The referral grew to be two sales that formed $3,500 to be shared among 4 organizations with forms of helping others with specific needs in our community. 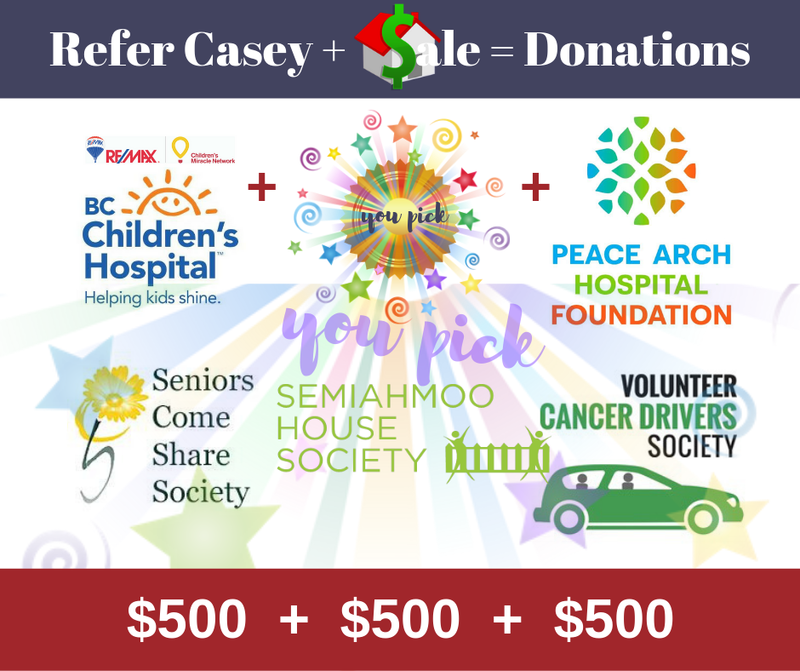 Now, when you see "Refer Casey + Sale = Donations" do you see $ signs or do you see a desire to help? Do you see taking or energy being given from my heart to help? 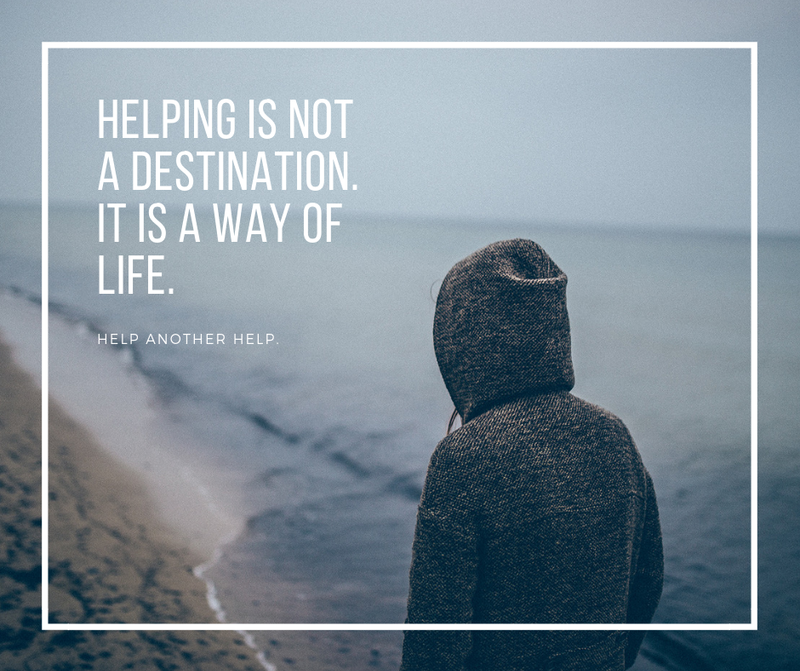 Helping is not a destination. It is a way of life to bring the best version of ourselves into the world and in the process help others to help. Is there anything in the world I can help you with? Let's start a conversation, I'd love to hear from you.